To judge by the map on the TEDx website, the TED talk phenomenon has spread like Levi’s jeans back in the ’80, to just about every corner of the inhabited world. 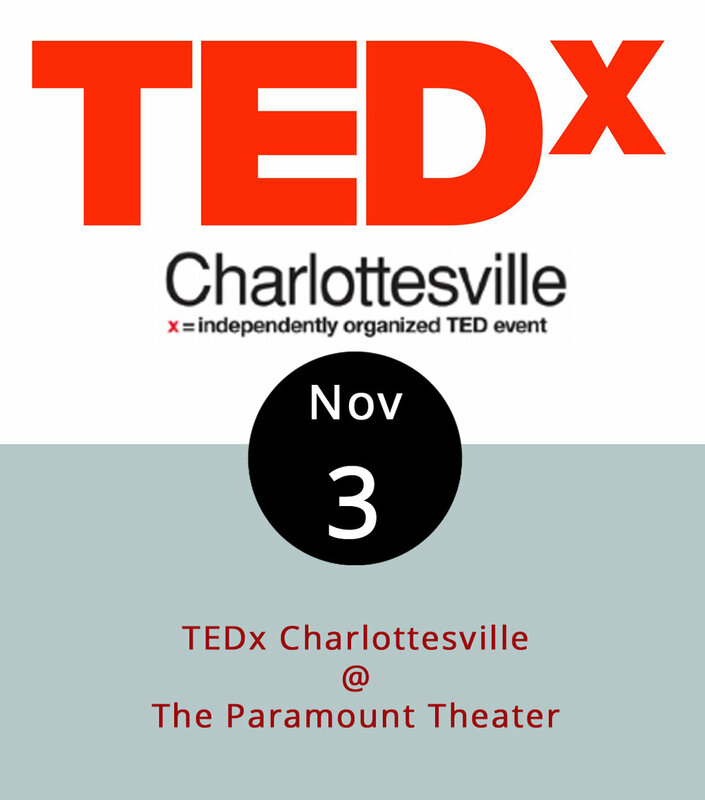 Basically, unless you happen to reside inside the Arctic Circle, chances are there’s some sort of TED-branded event happening in a town near you, including Charlottesville, which hosts an evening of TED-style talks on November 3 at the Paramount Theater (215 E. Main St.). We're letting you know early because the even has sold out well in advance for the past four years. This year’s line-up includes presentations by National Geographic photographer Ami Vitale; impact investor Rafe Furst; a “brand builder” by the name of Amiel Harper; and Andrew Block, who has a real job as director of the Virginia Department of Juvenile Justice. To be clear, TEDx events are merely affiliated with the parent organization that got up and running under the banner of Technology, Entertainment, Design in 1990. The one in Charlottesville is presented by Starr Hill Presents (a concert promotion agency) in partnership with the CFA Institute (an investment professionals organization) and the Charlottesville Area Community Foundation. Advanced tickets go on sale for $78 plus a $2.50 facility fee on September 6 at 10 a.m., and the price goes up by $10 on September 7 at 10 a.m. Click here for tickets and info. Following a rally last weekend, the local youth movement “Save our Skatepark” is looking to gain momentum with a concert at White Hart Cafe (1208 Main St.). Basically, skaters want the city government to take over management of Rotary Centennial Riverfront Skatepark, currently owned by Amazement Square. Skaters say the park is closed more often than not, and they want it to become a use-at-your-own risk park open dusk to dawn like other municipal parks. The free concert featuring local bands Xenith and Sin is meant to raise awareness and support for the endeavor. 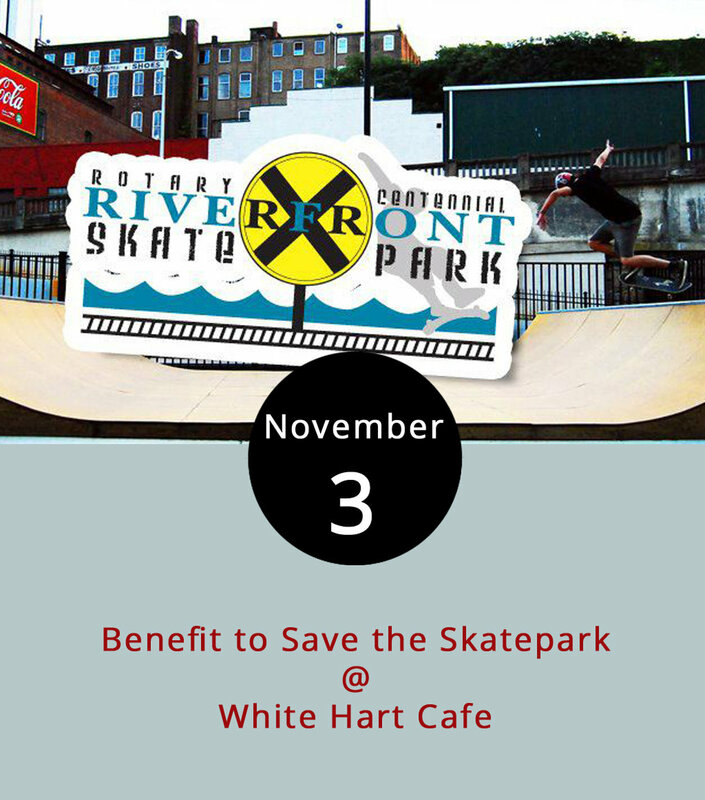 For more information, check out the Save our Skatepark Facebook page. As the United States continues struggling with racism and race relations, exhibited by flagrant white supremacist rallies and repeated protests by members of the black community against excessive force by police, the nation’s citizens search for ways to communicate with each other. 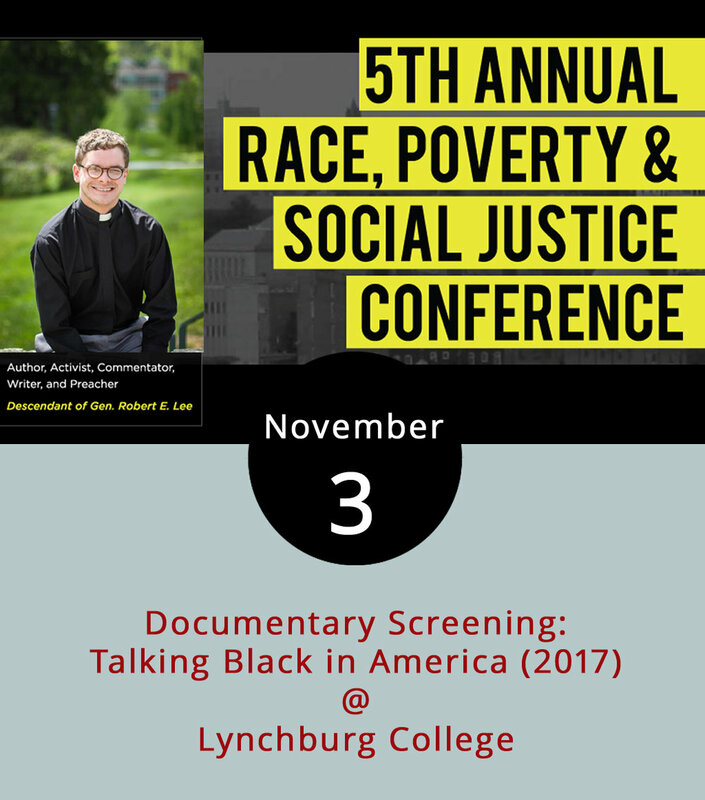 This weekend, Lynchburg College and Many Voices, One Community host the 5th Annual Race, Poverty and Social Justice Conference to help those conversations progress, with a number of free public events today. At 4 p.m. LC’s Hopwood Auditorium(1501 Lakeside Dr.) will screen the documentary Talking Black in America(2017) directed by Danica Cullinan and Neal Hutcheson for the The Language and Life Project. “The documentary addresses the persistent misinformation about African American speech and situates it as an integral part of the historical and cultural legacy of all Americans,” according to its website. Discussion will follow. At 7 p.m., the Hall Campus Center ballroom will host “Perspectives: A Conversation on Race, Poverty & Education,” featuring former astronaut Leland Melvin and longtime Lynchburg-area civic leader Arelia Langhorne. For more information about the conference, click here. Wouldn’t it be nice to have your Christmas shopping out of the way before Thanksgiving? And what if you could get your family gifts handcrafted by regional artisans? If any of that sounds good or you just like to shop, check out the Holiday Market, hosted by Hill City Handmade today from 9-5 p.m. 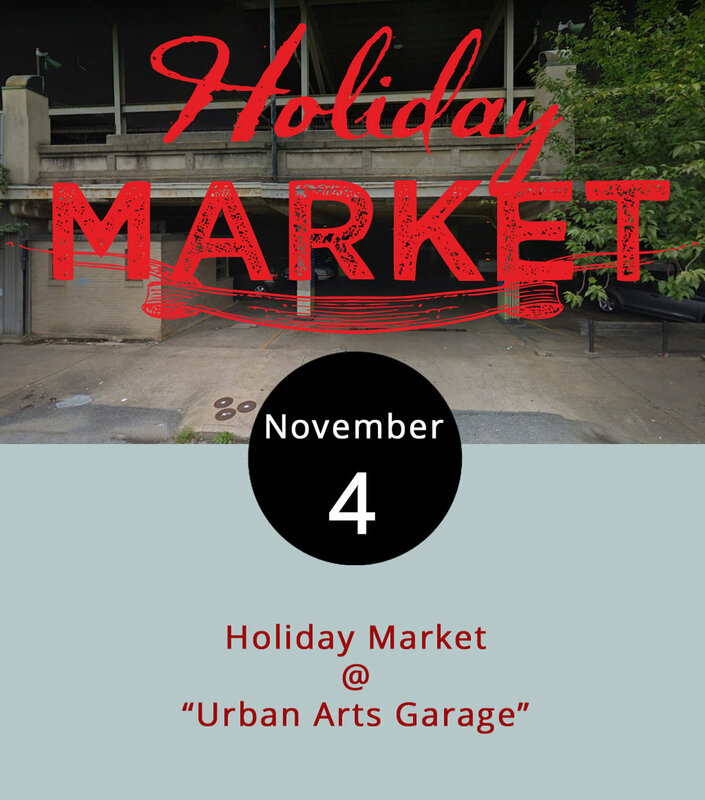 The event brings more than 90 vendors, including craftspeople and food trucks at the “Urban Arts Garage” (1001 Commerce St.) Here’s a list of vendors associated with the Hill City Handmade, although vendors from elsewhere in Virginia, Maryland, North Carolina and Florida will attend. Early bird shopping passes are $10 and allow anyone to get in from 9-11 a.m. ahead of the crowd. General Admission begins at 11 a.m and is $3 cash-only at the door. For more information, click here. Proceeds benefit the nonprofit Mission Empowerment. 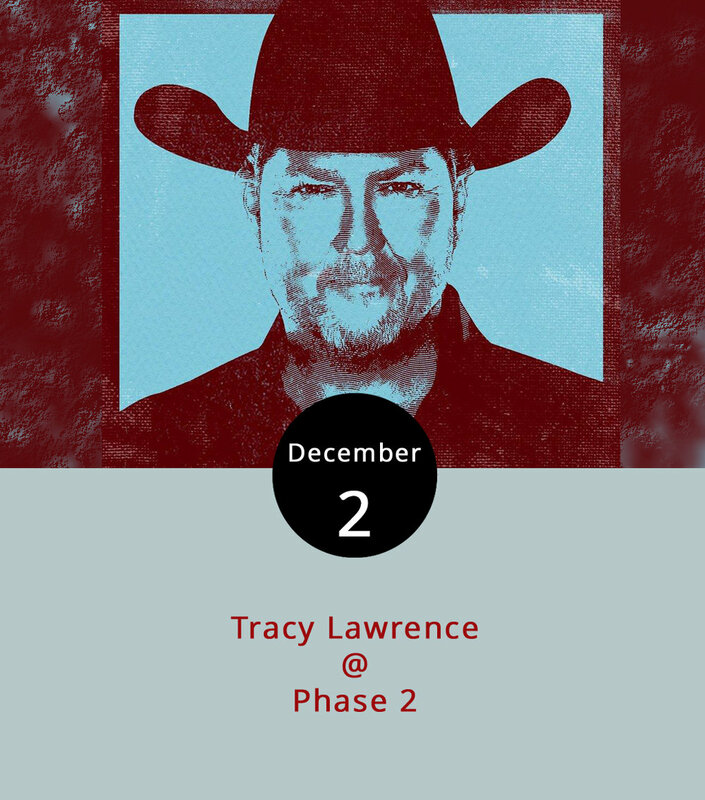 A country star who called himself “the most open redneck you’ll ever meet” in a recent interview with Rolling Stone performs tonight at Phase 2 (4009 Murray Pl.). Chris Janson made it into the country spotlight in 2015 with his single “Buy Me a Boat,” which peaked at number 39 on Billboard charts; he is now on tour for his new album “Everybody.” The album features “Fix a Drink,” which has been on Billboard charts for eight weeks after being released in September. Adam Rutledge, seen here, is the lead artist in Rutledge, a band out of the Salem area that signed with a Nashville recording label early this year, according to the Salem Times-Register. Doors open at 7 p.m. for the 8 p.m. show, which is 18+. Tickets are $24.99 for general admission. For more information, click here or call (434) 846-3206. Which would fling a pumpkin the farthest: a catapult, slingshot, trebuchet or some other contraption? 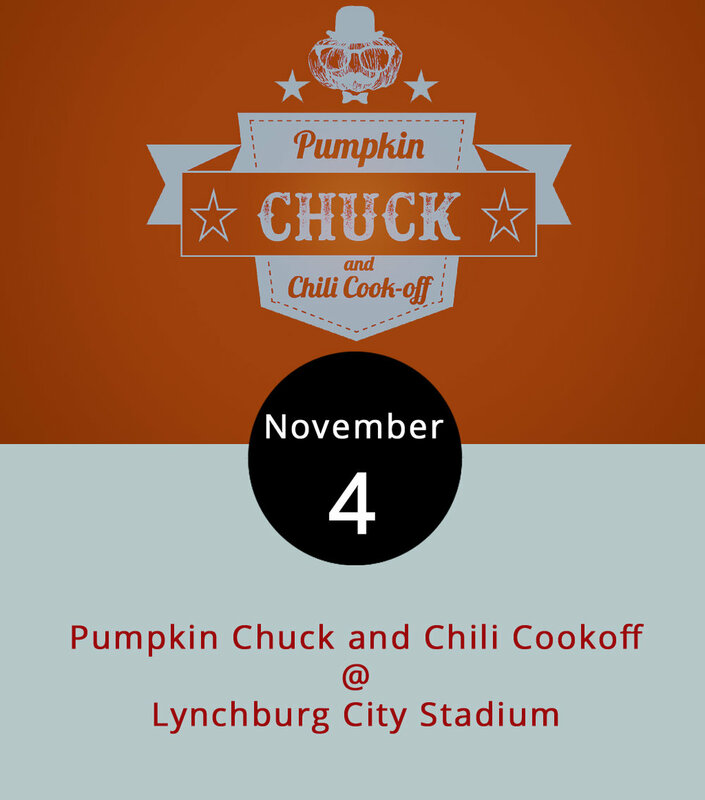 Find out today as Hill City residents compete with homemade pumpkin hurling apparatus at the Pumpkin Chuck and Chili Cookoff at Lynchburg City Stadium (3180 Fort Ave.). There’s also competition for accuracy, creativity and fan favorite. While registration to compete for both the chuck and cookoff are closed, the Lynchburg Parks & Recreation event is open and free to the public. They’ll also have food trucks, Beale’s beer and live music from Bo-Zac from 11 a.m. to 4 p.m. For more information, click here or call (434) 455–5873. Sunday will be a good time to check out the “Carceral States” exhibit featured this year at Randolph College’s Maier Museum of Art (1 Quinlan St.) as photographer Stephen Tourlentes guides a brief tour of “Of Length and Measures,” one of the collections that comprise the exhibit about mass incarceration in the United States. For his part, Tourlentes photographed prison facilities located outside towns in “black and white at night using the powerful glow of the facilities within the seemingly empty landscape to emphasize their presence,” according to the event Facebook page. The free tour is about 15 minutes and starts at 2 p.m. The museum is open from 1-5 p.m. For more information about Carceral States, on display through Dec. 15, click here or call (434) 947-8136. Many films come. Most of them go. But the best cement themselves into popular culture as classics. And every week, Venue Cinemas (901 Lakeside Dr.) brings a couple back to the silver screen so new generations can see them as they’re meant to be watched. This week brings Steven Spielberg’s harrowing boy-meets-alien story: E.T. the Extra-Terrestrial (1982). After being stranded on Earth by his shipmates, the alien later to be known as E.T. meets a young boy, Elliot (Henry Thomas), his family and friends. When the feds investigate the U.F.O sighting, they find their way to E.T. setting up a daring rescue and legendary bike-chase. Extra points for noticing the 7-year-old Drew Barrymore playing Elliot’s young sister Gertie. Showtimes are 12:45, 3:30, 6:30 and 9:15 p.m. The theatre is also running West Side Story(1961), directed by Jerome Robbins and Robert Wise. In the musical adapted from William Shakespeare’s Romeo and Juliet, two young lovers, Maria (Natalie Wood) and Tony (Richard Beymer) find themselves trapped between two rival gangs, the Sharks and the Jets, separated by race but united by a love for song, dance, and each other. Showtimes are 12:45, 4:00 and 7:15 p.m. Both shows run from Nov. 3-Nov. 9. For more information, click here or call (434) 845-2398. Although we fancy ourselves the go-to for Lynchburg-area entertainment info, we at LynchburgDoes feel strongly about civic responsibility as well. 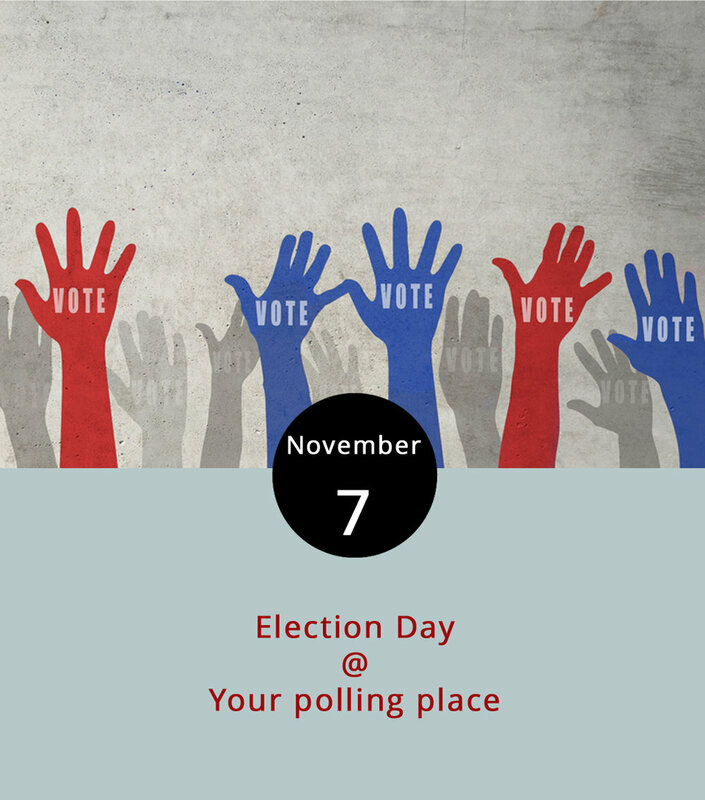 That’s why we’d like to remind you to stop by your polling precinct to vote today. Every ballot in Virginia features the statewide contests of governor (Democrat Ralph Northam, Republican Ed Gillespie and Libertarian Clifford D. Hyra), lieutenant governor (Democrat Justin Fairfax and Republican Jill Vogel) and attorney general (Incumbent Democrat Mark Herring and Republican John Adams). Locally we have a 23rd District House of Delegates race between Democrat Natalie Short and Incumbent Republican Scott Garrett and a race for Lynchburg commonwealth’s attorney between Democrat Carlos Hutcherson and Republican Bethany Harrison. To verify who is on your ballot as well as where you should vote, click here. For more information call the Lynchburg City Registrar’s Office at (434) 477-5999. Every week there’s a chance to take home pint glasses branded by breweries shopping their best libations at local restaurants. 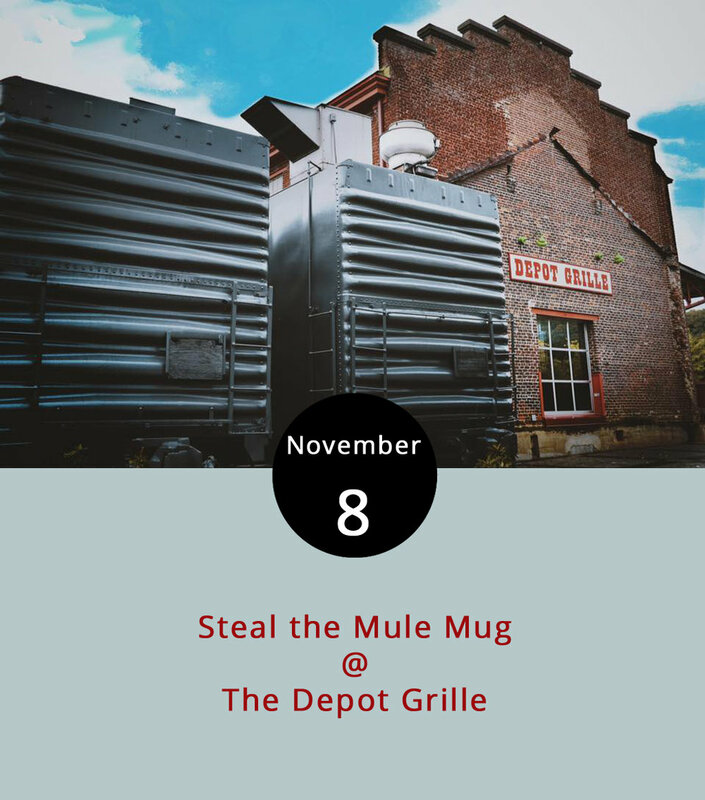 But The Depot Grille (10 9th St.) is putting a new spin on things: serving up mule drinks in a copper mug patrons can take home (while supplies last) from 5:30-8:30 p.m. While the traditional Moscow mule, named after the imported copper cups they came in, was a mix of vodka, lime and ginger beer, alcohol enthusiasts have evolved the drink to a variety of mules named for the type of alcohol used. The Depot will be featuring Ketel One vodka, Tanqueray gin and Bulleit bourbon in their mules. Check out the Depot’s Americana menu, here. For more information about the event, click here or call (434) 846-4464. 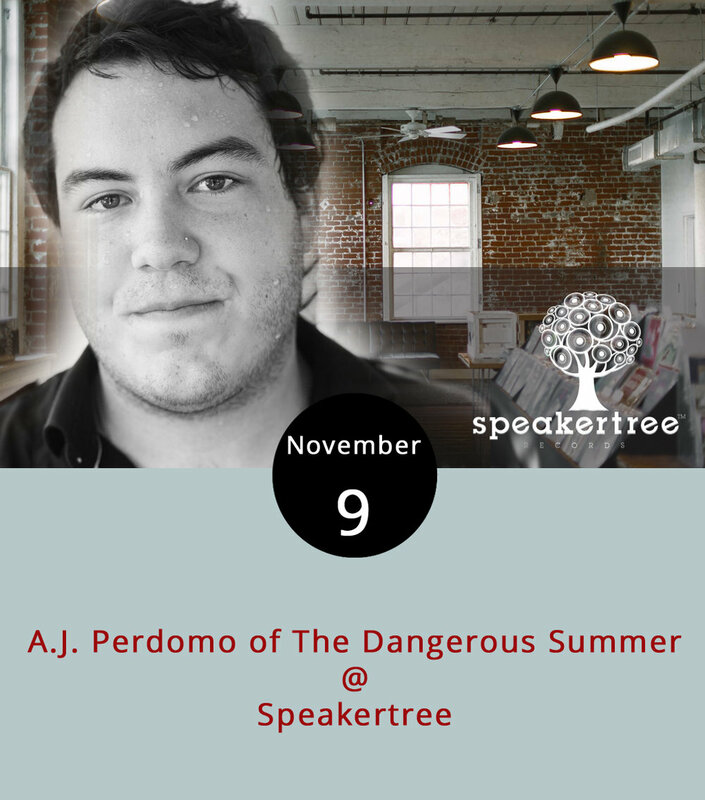 With their new location in the Riverviews Artspace building well past up-and-running, Speakertree Records hopes to begin bringing national, regional and local acts to perform live amongst the vinyl at what they’re calling “Speakertree Sessions.” They’re starting with A.J. Perdomo, a once and current member of The Dangerous Summer, which recently dropped a comeback single titled “Fire,” according to Alternative Press. Perdomo will play without his bandmates, but he’ll have local help in Someone Just Like You and Devin Grubbs, according to Speakertree. The all-ages show is from 7-10 p.m. There’s a $5 cover and a cash bar. For more information and updates, click here or call (919) 830-0988. 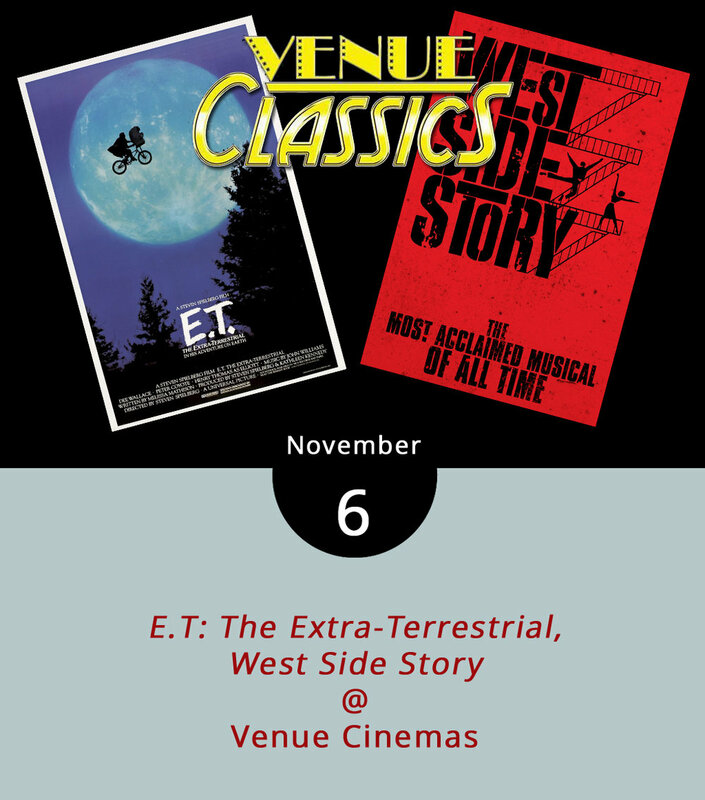 Last week, the Sharks and the Jets returned to the silver screen as Venue Cinemas (901 Lakeside Dr.) puts the classics in the spotlight. This week, it’s the T-Birds and the Pink Ladies in the iconic musical Grease (1978). Summer love happened so fast between Danny Zuko (John Travolta) and Sandy (Olivia Newton-John). But complications ensue when Sandy unexpectedly transfers to Danny’s high school and finds that he is not the sweet sensitive boy she met on the beach. Along with conflicted love, the film sends both groups of teenagers soul searching through song. (See “Beauty School Dropout” sung by an angelic Frankie Avalon). Showtimes are 12:00, 2:30, 5:00, 7:30 and 10:00 p.m. today through Nov. 15. For more information, click here or call (434) 845-2398. 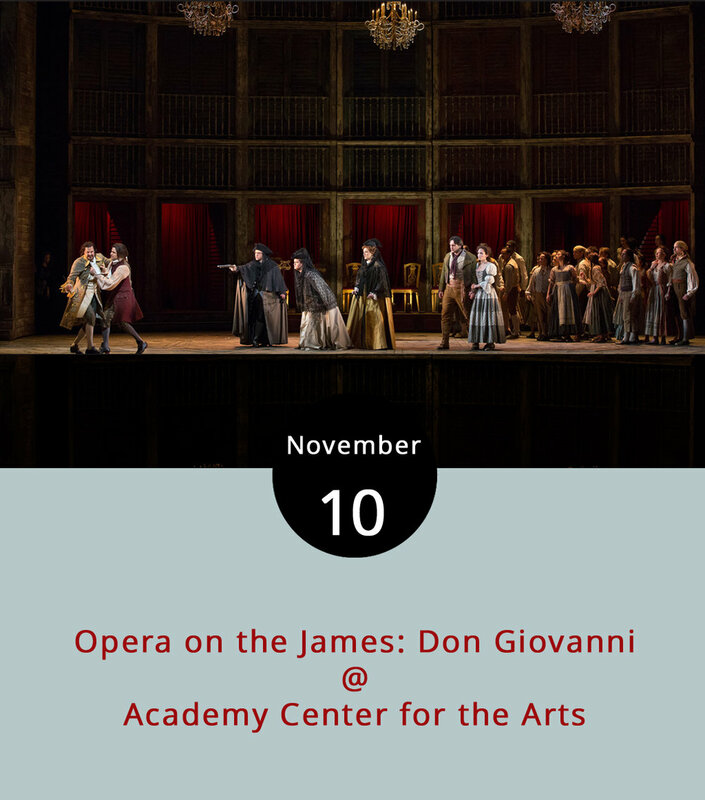 Since its Prague debut 230 years ago, Don Giovanni has become one of the world’s most performed operas. This weekend, the show, combining the music of Wolfgang Amadeus Mozart, Italian libretto by Lorenzo de Ponte and the legend of promiscuous “noble” Don Juan, comes to Opera on the James. Tonight’s performance kicks off Lynchburg’s 2017-2018 winter opera season. Never been to an opera? Don’t speak Italian? Opera on the James will project “supertitles” in English, so newbies can follow along. The performance is at 7:30 p.m.; Sunday’s is at 3 p.m. at the Joy & Lynch Christian Warehouse Theatre (519 Commerce St.). Tickets are between $27 and $93 depending on the section. For more information about the show and the upcoming season, click here or call 434-528-3397. They have plenty for the kids to do today as Amazement Square (27 9th St.) unveils its new Genworth Education Center. They’re starting early with programming and activities centered around Rick Riordan’s bestselling mythological adventure series about Percy Jackson. 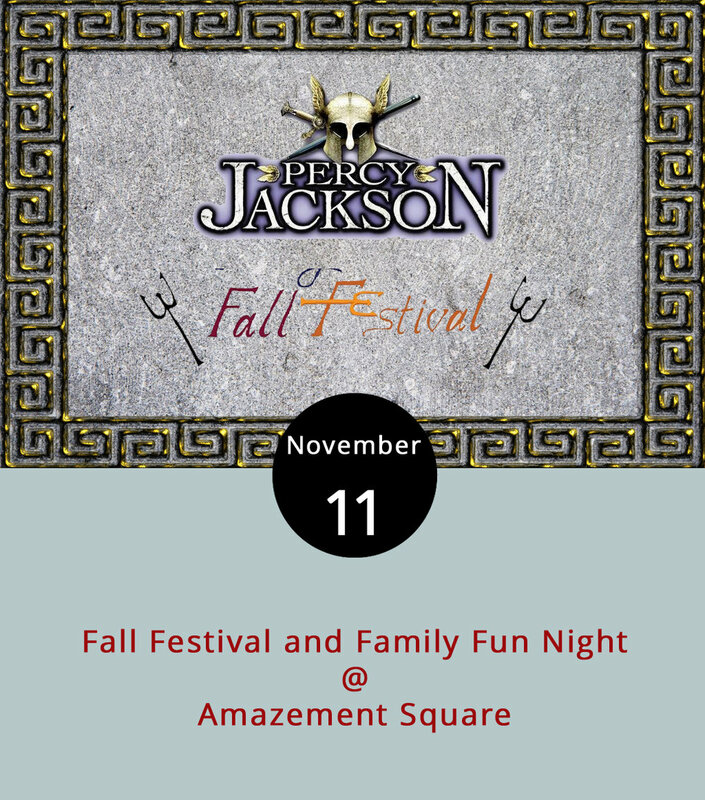 The Fall Festival, from 10 a.m. to 1 p.m., includes making shields, “tasting healing ambrosia” and using a catapult. Tickets are $4 for members and $6 for non-members and can be purchased here. A little later begins the monthly Family Fun Night, in which the general admission price drops from $9 to $3 from 2-7 p.m. The children’s museum offers a unique combination of entertainment and education, enabling children to try their hand at myriad art projects as well as teaching them about history, agriculture, electricity and other topics. Oh yeah, there’s also a four-story play structure connecting the whole thing for kids to crawl, slide and propel from one exhibit to the next. For more information, click here or call (434) 845-1888. When she started creating assorted desserts, JaTaen Rucker was only in it for the love of the bake. But as she practiced and grew her repertoire, she needed other people to consume the calories, and eventually came upon a market of customers for her cakes, pies, cookies and brownies. 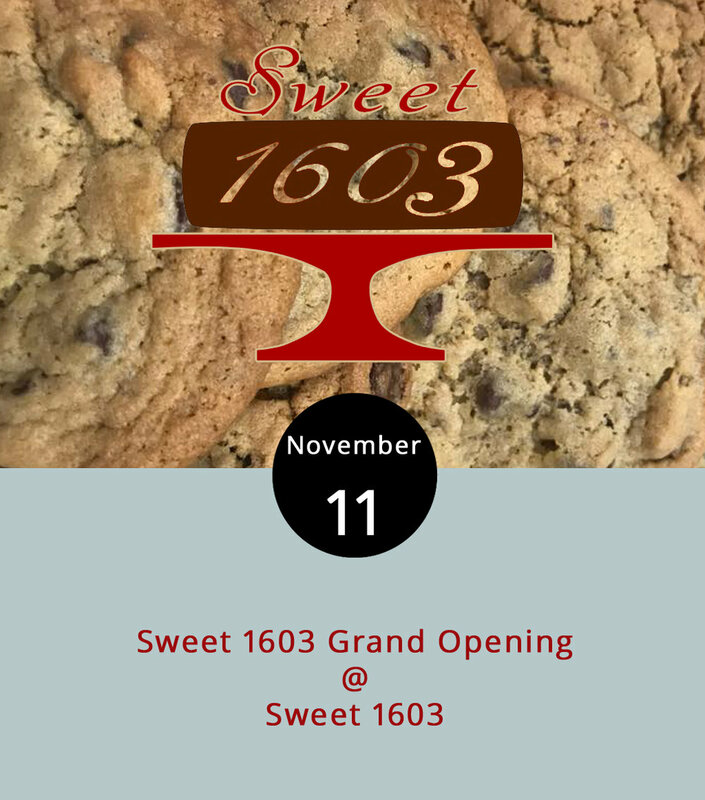 For several months now, she’s operated a sort of soft opening of Sweet 1603 (1603 12th St.) on the weekends, crafting and selling a variety of desserts available whole or by slice. So far, we’ve enjoyed chocolate cheesecake, apple pie cheesecake as well as the pumpkin muffins available at 5th St. Grind. She’s celebrating her grand opening today with new and regular hours from Tuesday-Saturday 11 a.m. to 6 p.m. after opening Wednesday. We recommend scrolling through the Sweet 1603 Facebook feed where she’s posted pictures of delightful desserts. Call (434) 229-6803 for more information. Ths August, a white supremacist rally in Charlottesville protesting the city’s plan to remove a Robert E. Lee statue from a public park ended in turmoil with one counter-protester killed, propelling Confederate monuments to the fore of the national debate on race relations. And a gubernatorial election in which Confederate monuments played an unusual role will have passed Tuesday, but the discussion around them will likely remain long after. Whether you see these chiseled stones as monuments to white supremacy or war heroics, it’s worth learning details about when and why communities constructed them. This afternoon Randolph College history professor John d’Entremont and art history professor Kathleen Placidi will talk about the historical, political, and artistic context of these monuments. 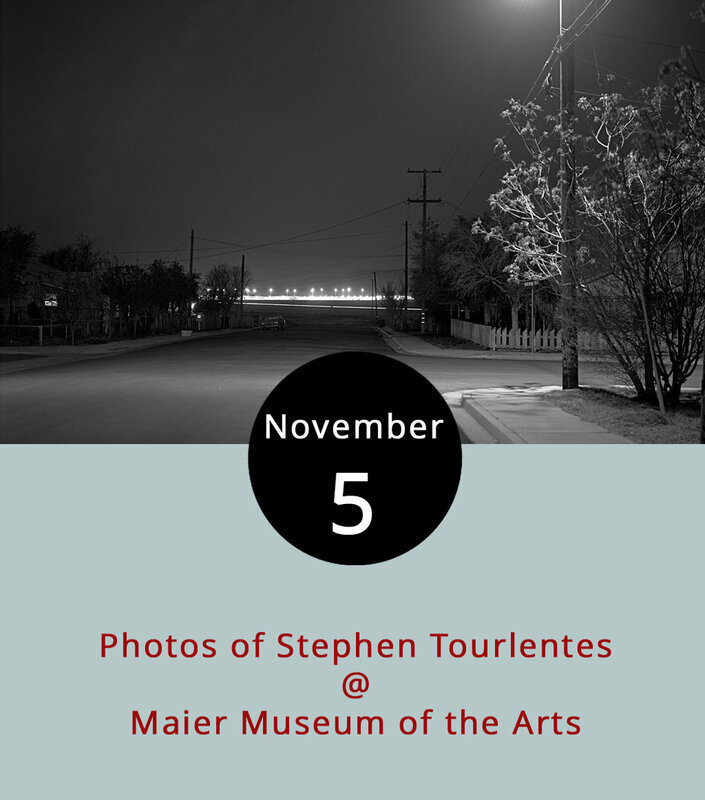 The lecture is from 3-5 p.m. at Maier Museum of Art (1 Quinlan St.). For more information, click here or call (434) 947-8136. A couple of bands on tour from Connecticut will stop by White Hart Cafe (1208 Main St.) tonight, offering an entertaining wind down after the weekend. 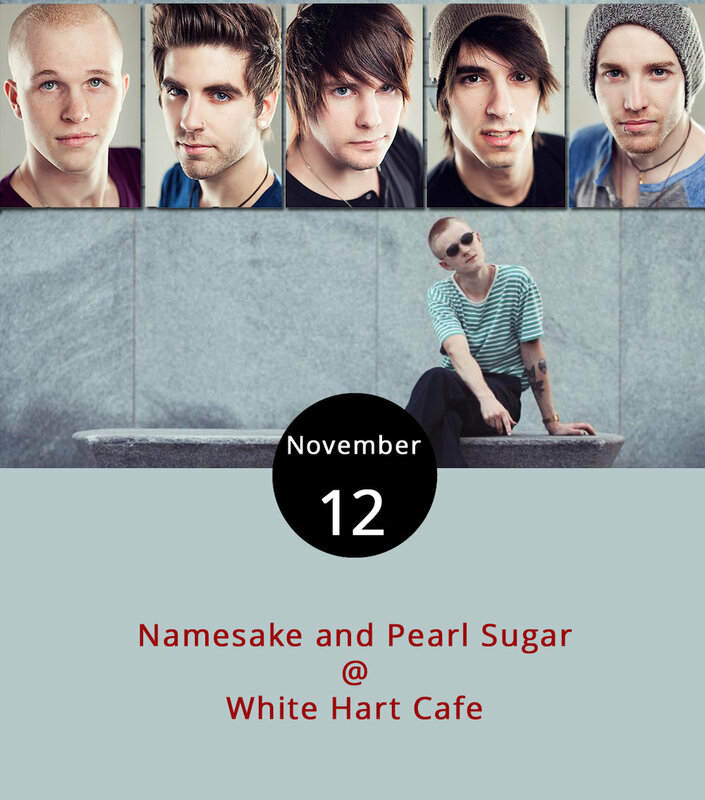 Namesake is an indie folk band that describes its music as “rock and roll and lullabies,” an appropriate description for some of their songs, including “Fight the Ocean.” Pearl Sugar describes its style as synth pop, an electronic style exhibited on “Lock You Up.” The show is from 6-8 p.m. The cafe attracts a college crowd, so it won’t be unusual to see individuals deep in thick literature or study groups with laptops propped open. They’re open until 9 p.m., and a selection of menu items is available, here, although their selection is more robust and includes baked goods. For more information about the event, click here or call (434) 207-5600. They’ve got a little bit of everything today at Riverviews Artspace (901 Jefferson St.) for the Holiday Makers Brunch. While shopping for Virginia-handmade artisan crafts (a perfect Christmas present for our fellow locavores), be entertained by live jazz music in the Craddock-Terry Gallery or by the Redskins and Vikings at 1 p.m. in the Rosel H. Schewel Theatre. Oh, and there’s a buffet brunch provided by White Hart Cafe for $10, served alongside pay-per-drink mimosas, breakfast cocktails and craft beer. Pets are also invited to take pics with the Lynchburg Humane Society Santa. The event is 10 a.m. to 4 p.m., and tickets are $3 at the door. For more information, click here or call (434) 847-7277. Although we don’t think there needs a reason to take a happy hour, the American Civil War Museum is serving up an educational excuse for a break tonight at Charley’s Restaurant (707 Graves Mill Rd.). The museum, headquartered in Richmond with an outpost in Appomattox, presents their History Happy Hour tonight with a talk on Dr. Mary Edwards Walker, an early feminist and women’s advocate who became the first woman to receive the Congressional Medal of Honor for her service as a surgeon for the Union in the Civil War. American Civil War Museum program specialist Tally Botzer will give the free talk from 6:30-7:30 p.m. tonight. For more information, click here. While we don’t like to be spoilers, the title of John Dies at the End (2012) seems to give the ending away. But that’s no reason to miss director Don Coscarelli’s sci-fi/horror/comedy featuring a drug called “Soy Sauce” that sends users shifting across time and space. When some of them return from their trip, they’re no longer human. We won’t tell you whether the pair of college dropouts, John (Rob Mayes) and Dave (Chase Williamson) are the heroes Earth needs, wants or is stuck with. 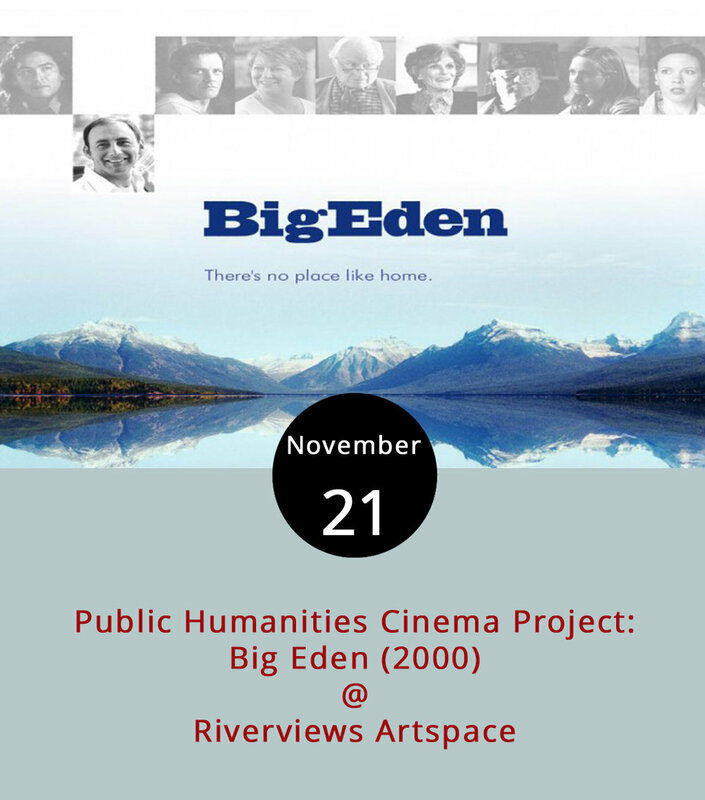 As always, bronze artist and movie buff Ken Faraoni will be on hand to provide a little pre-movie commentary on the film’s creation, cultural context, and impact. Tickets are $6 and a cash bar is available; call (434) 847-7277 or click here for more info. The second performance of the Academy Center for the Arts (519 Commerce St.) Warehouse Concert series brings a young artist Rolling Stone named to its “10 New Artists You Need to Know” list in June. The article describes R.LUM.R, a moniker for Nashville-based Reggie Williams, as a “singer/songwriter armored to compete in a world dominated by trap and EDM.” He’ll headline the show that includes fellow Nashville act and charming bluesman Devon Gilfillianwho played a late night show at Rivermont Pizza in September that included a surprise visit from The Lone Bellow for a round of “Cripple Creek” after the national act performed at Riverfront Park. Got all that? Along for the ride will be Lynchburg singer-songwriter Joel Robert Kaiser. Tickets are $12 in advance or $15 at the door, and this is a standing concert. Doors open at 7 p.m. for the 8 p.m. show. For more information, click here or call (434) 846-8499. The Lynchburg area has a bit of a problem retaining millennials, but the Young Professionals of Central Virginia hope that getting young talent together will keep them around. In that capacity, the YPCV hosts a networking happy hour that lands at a different spot around town each month. This time, the meet-up is at The Water Dog (1016 Jefferson St.) from 5:35-8:35 p.m. There’s no membership fee or cover charge, and whatever the modern version of business card trading is is encouraged. 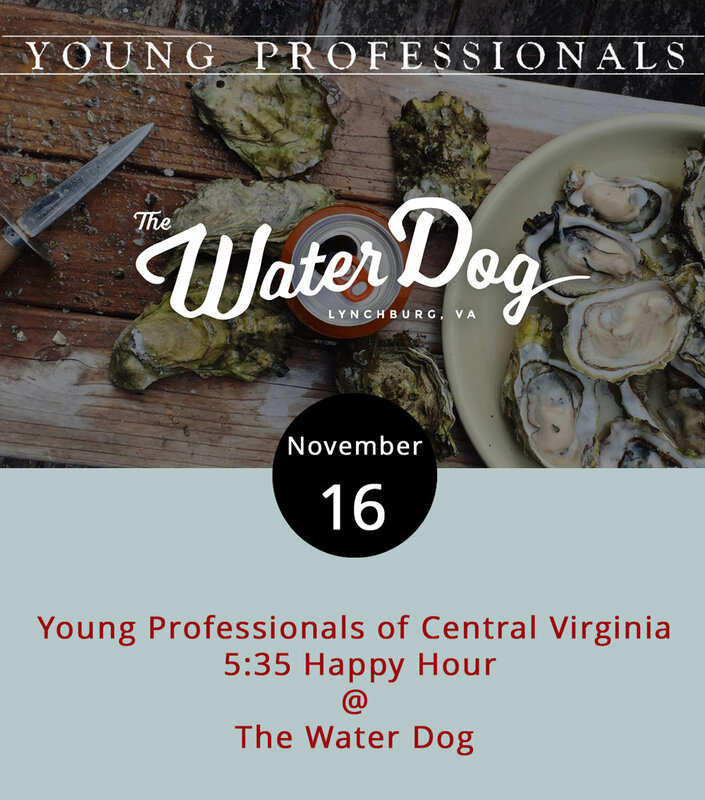 For information on the event, click here; for The Water Dog menu, here; for details on the YPCV and its mission, here or call (434) 847-1447. The man in the moon is waiting as are countless numbers of sparkling stars and the rest of cosmic creation. But they’re hard to examine from way down here on earth. 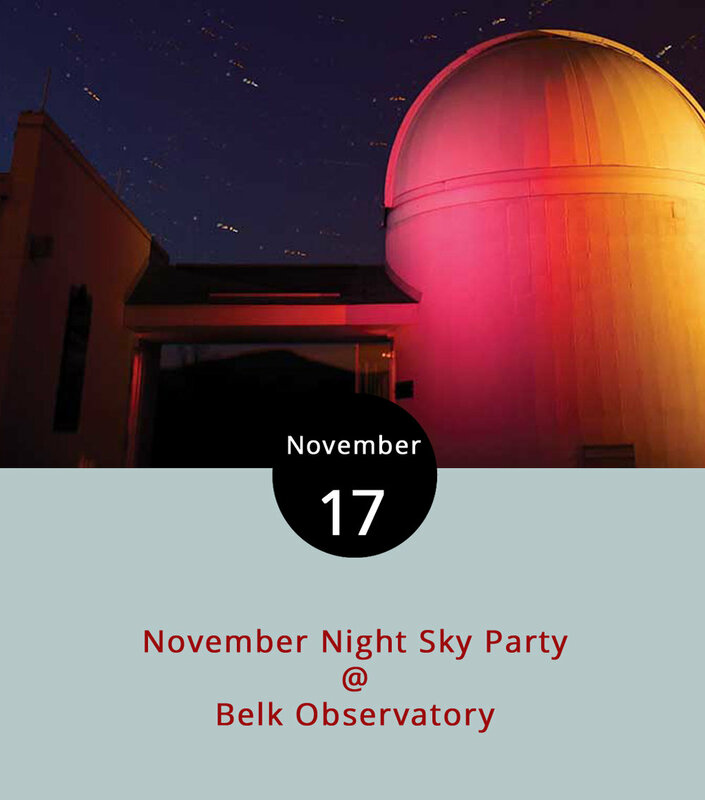 So once a month, the Belk Observatory at Claytor Nature Study Center (1844 Woods Rd., Bedford) opens its doors to anyone who wants to view the open skies. Although the 20-inch telescope is still undergoing repairs, they offer a few 8-inch telescopes, astronomical binoculars and a naked-eye constellation-viewing station for an expansive scope of the sky from 7:30-9:30 p.m. The free event occurs the third Friday of every month. Tickets must be reserved ahead of time and can be requested here or call (434) 544-8360 for more information. For updates, click here. 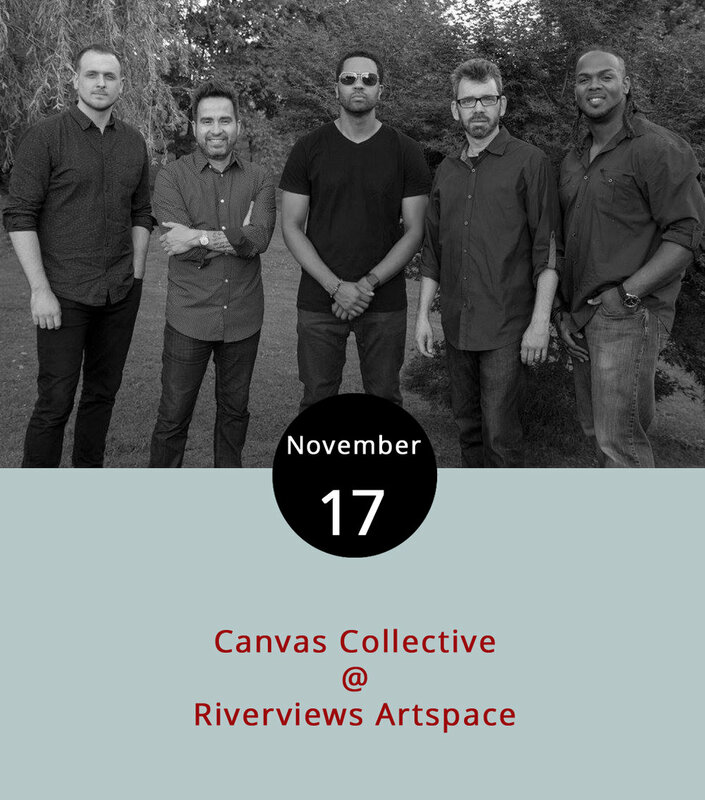 What better name for a band playing in an art gallery than Canvas Collective? The group of Central Virginia professional musicians comes together from time to time to collaborate and, as they put it, conversate through harmony and dissonance. Tonight, at the Rosel H. Schewel Theatre, they’ll bring a stylethat moves around the jazz genre and includes influences from hip hop, R&B, rock and funk. For more information about the band and its members, visit their website. Tickets are $10 at the door, which opens at 7 p.m. for the 7:30 p.m. show. A cash bar will be available. For more information, click here or call (434) 847-7277. Every so often the third president of the United States throws a party at his bucolic Bedford County retreat home Poplar Forest (1542 Bateman Bridge Rd.). 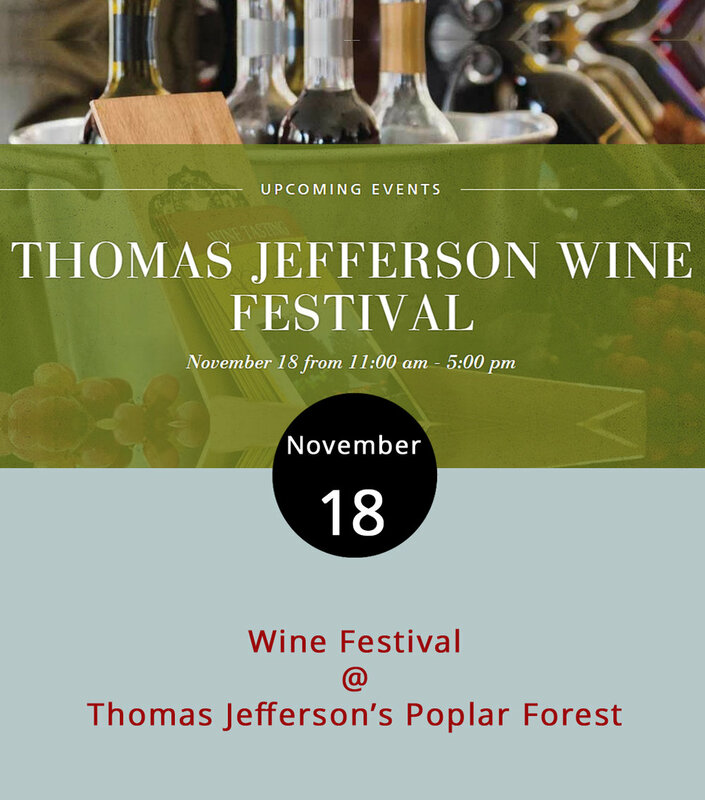 Come to the 9th Annual Thomas Jefferson Wine Festival to taste a variety of wines from15 (mostly regional) vineyards from 11 a.m to 5 p.m. A handful of artisan and food vendors will be there to round out the afternoon. Tickets are $25 in advance and $30 at the door or $10 for designated drivers. VIP tickets are sold out. For more information, including a list of vineyards and vendors, click here or call (434) 525-1806. 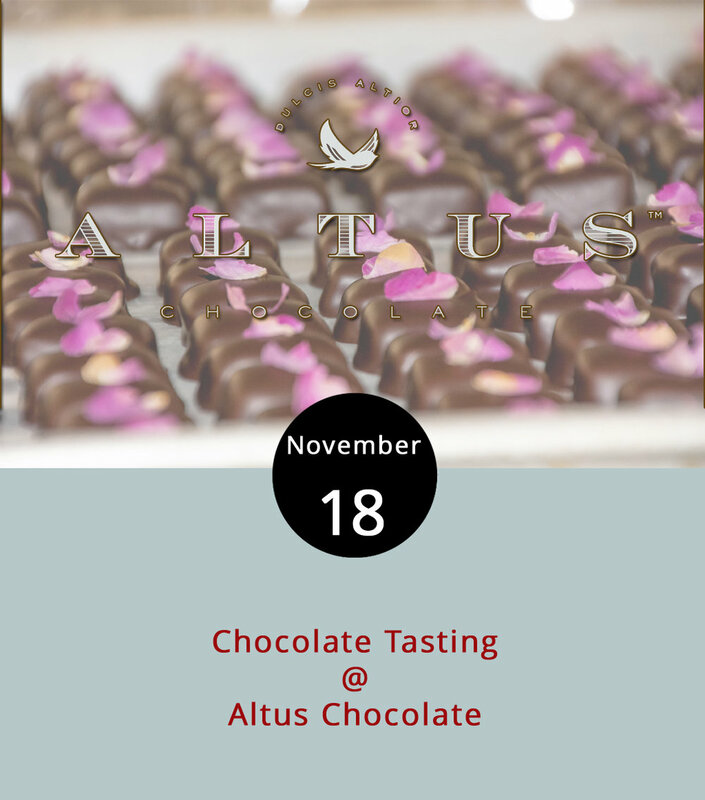 Chocolate lovers should easily get their fix this afternoon as Altus Chocolate (908 Main St.) hosts two back-to-back classes/tastings. At the 2 p.m. class, chocolatiers will lead a lesson on making fidget spinners (that actually spin) and other shapes out of chocolate. Each attendee gets to make two, and may top them with fruit, caramel and nuts. Tickets are $15, and the class is limited to 10 people. The second class starts at 3 p.m. and takes customers from bean to bar, so they can learn where chocolate comes from and how it’s made. Of course, the lesson comes with Altus tastings. Attendance is limited to 20 people. Tickets for both events can be found here. For more information, call (434) 847-2970. The three “atmospheric electronica” performances tonight at Riverviews Artspace (901 Jefferson St.) are a bit out of the ordinary for the Hill City. 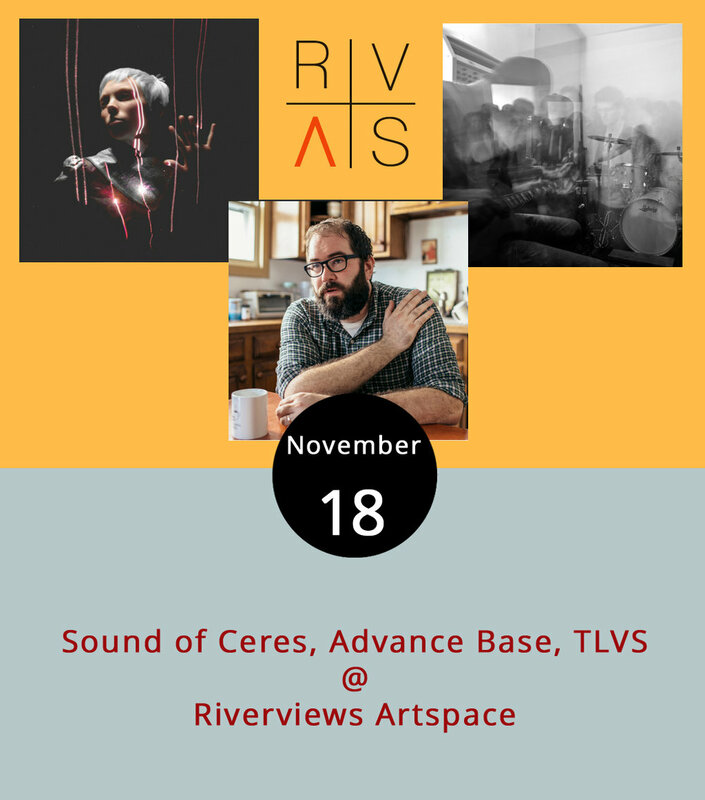 The show features national touring acts Sound of Ceres and Advance Base who will be joined by the local artists TLVS (The Late Virginia Summers). Sound of Ceres is on tour with their performance of The Twin, a changing musical expression performed with light, sound and words. Advance Base is the moniker for Chicago-based Owen Ashworth who mixes electronic music with a solo singer-songwriter motif. And the Lynchburg-area band TLVS describes their style as “avant garde without needing decryption,” although we’re not sure how to translate that. Tickets are $10 at the door, which opens at 7:30 p.m. for the 8:15 p.m. show. A cash bar will be available. For more information, click here or call (434) 847-7277. 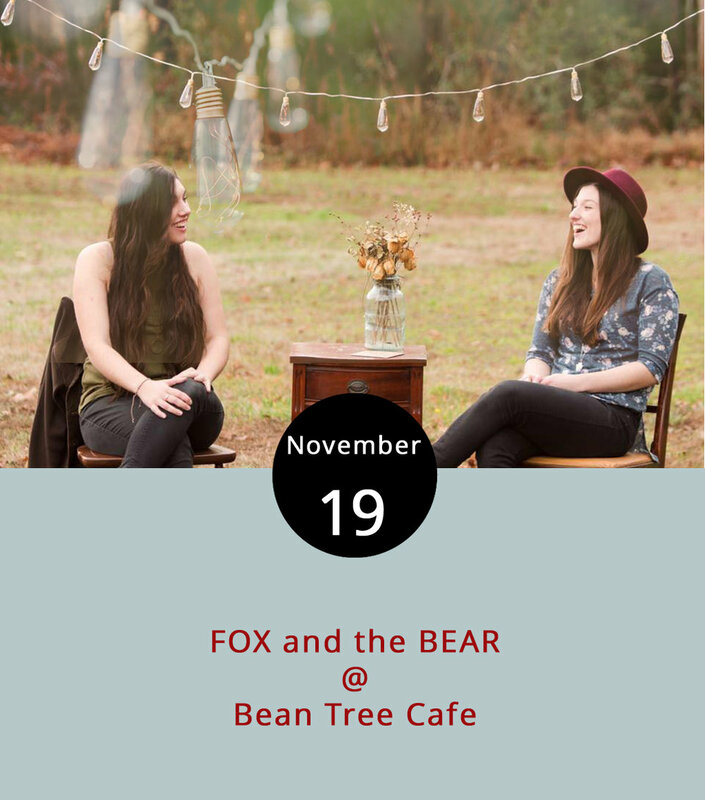 Bean Tree Cafe (105 Cornerstone St. #106) hosts a show tonight that should help ease the transition from weekend into weekday as a sisterly duo FOX and the BEAR (named for each of their favorite animals) perform from 7-9 p.m. As FOX and the BEAR, Jamie & Jeena Anderson from Virginia Beach perform indie folk (scroll down a bit after clicking the link to listen). They’re working on a full album after releasing their self-titled EP in January. Along with their self-written lyrics, they generally switch among a handful of instruments, including guitar, ukulele, mandolin, tambourine and a kick drum made from their great-grandmother’s suitcase, according to their website. For more information, click here or call (434) 534-3210. 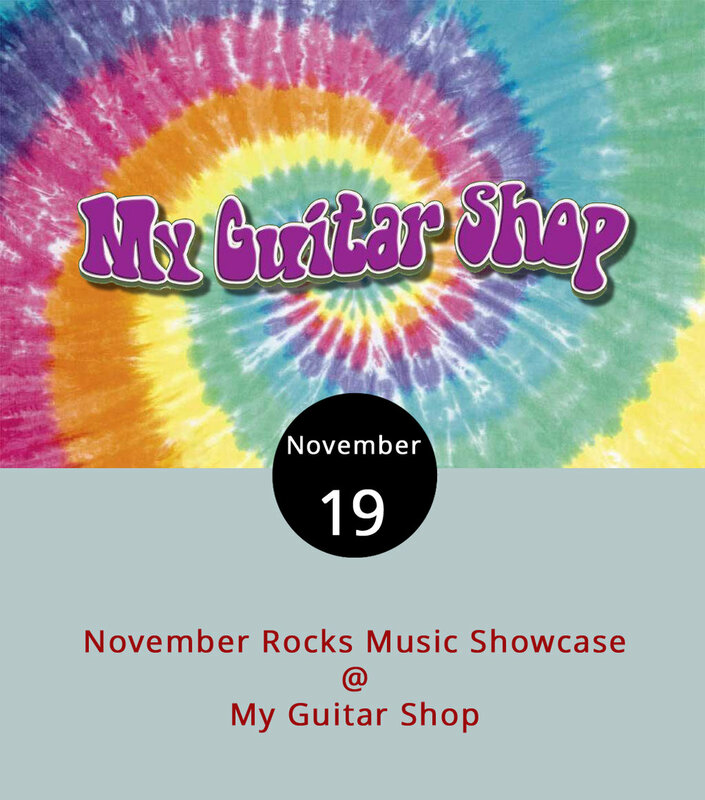 Today won’t be a normal quiet Sunday afternoon as My Guitar Shop (4529 S. Amherst Hwy., Madison Heights) hosts the November Rocks Music Showcase. Starting at 1 p.m., the event features six local bands rocking past sundown. The event is free and features Borderline Taboo, Super Dudes, Hyperflesh, Thikhead, Trenchfoot and Mourn the Illusion playing their sets in that order about an hour at a time through 7 p.m. There’s also a $10-per ticket raffle to win an Orange Dark Terror amplifier. For more information and updates, click here or call . (434) 534-7110. Wonka bar anyone? What better place than a candy factory to explore the sins of gluttony and greed paired with a child’s wonder and aging man’s dreams? And don’t forget the singing in the sweet-tooth classic, Willy Wonka and the Chocolate Factory(1971), directed by Mel Stuart. Join the gold-ticket winners, including the impoverished Charlie Bucket (Peter Ostrum) who chances upon a chocolate bar containing the last winning ticket and embarks on a once-in-a-lifetime tour of the reclusive Willy Wonka’s (Gene Wilder) factory. Join the chocolate tour and singing Oompa Loompas at Venue Cinemas (901 Lakeside Dr.) as they continue to bring classics to the big screen. Showtimes are 12:00, 2:20, 4:40, 7:00 and 9:20 p.m. from Nov. 17-23. For more information, click here or call (434) 845-2398. The night before Thanksgiving is said to be the busiest bar night of the year, so anywhere is likely to be packed as Lynchburg natives flock home for holiday feasts and head to their favorite local bars for pre-holiday drinks. 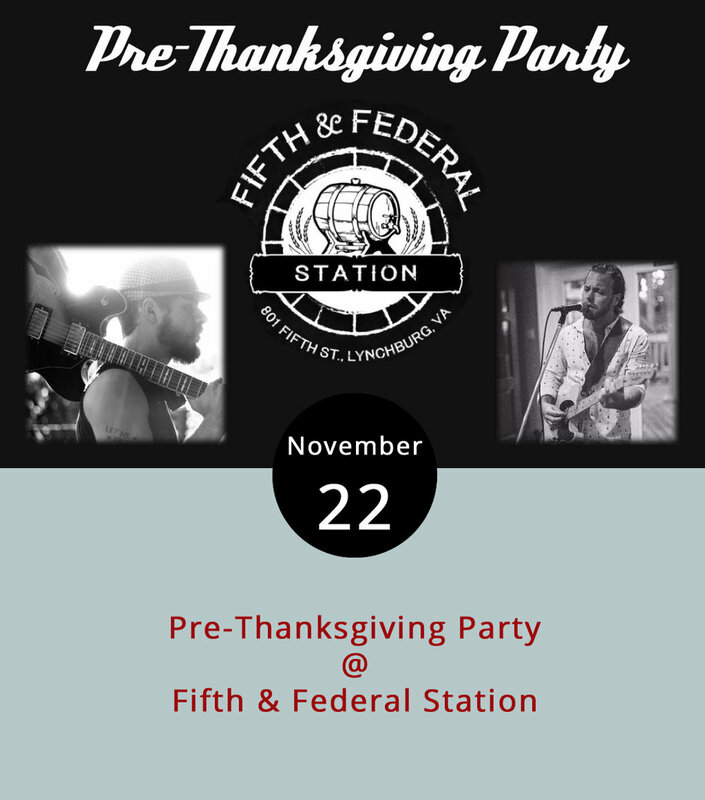 Fifth & Federal Station (801 Fifth St.) is making their play to attract the boosted population with a pre-Thanksgiving party featuring live music from 6:30 p.m. to midnight. Dayton, Virginia-native Bryan Elijah Smith will play an acoustic Americana set of original music as will Lynchburg’s Ben DeLaurentis, the Steal the Prize frontman and weekly Fifth & Federal open mic host. Fifth & Federal intends to have special Thanksgiving-themed drinks for the event as well. For more information, click here or call (434) 386-8113. Lynchburgers don’t have to wait until tomorrow to delight in a fine culinary spread. 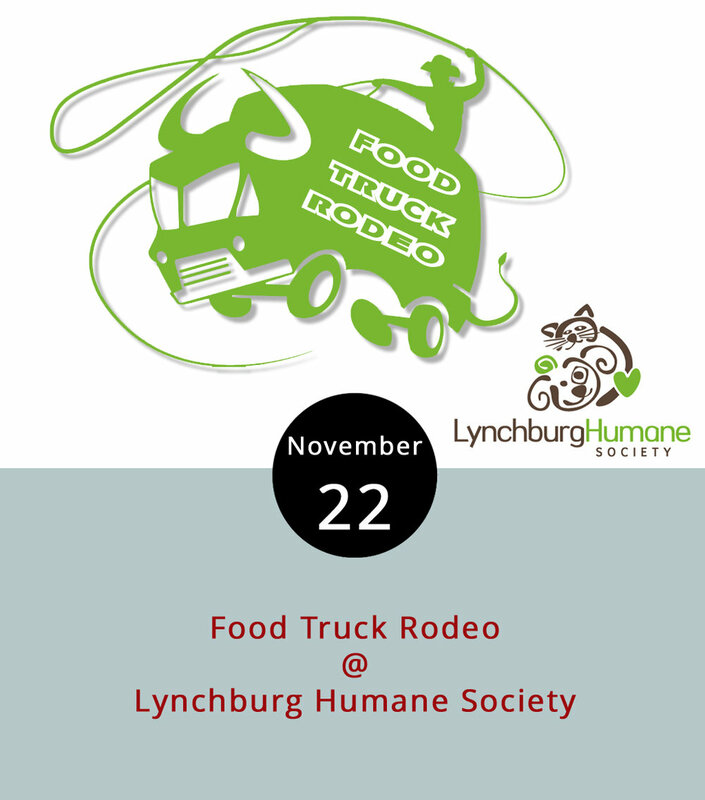 Several food trucks will gather for lunch today at the Lynchburg Humane Society (1211 Old Graves Mill Rd.) for the monthly “Bow Wow” from 11 a.m. to 2 p.m. Uprooted, Action Gyro, Mama Crockett’s Cider Donuts and Nomad Coffee are signed up for the event. It’s probably a good time to check out the Humane Society facility and maybe interview a few potential furry friends who are looking for new homes. For more information and updates, click here or call (434) 448-0088. After spending all day with your family, you may want to let loose tonight. Don’t worry, we won’t judge or tell, and Rivermont Pizza (2496 Rivermont Ave.) has just the thing in D.J. Eddie Oysters. Eddie Oysters is a nom de guerre for Lindsey Hall, who you may know as the Taco Shark purveyor as well as an employee at Ned’s Beer Shop in the back of RP. Oysters plans to play a mixed bag of music to make you dance. Expect the selection to be “rap heavy” but to slip into other genres as well. RP opens at 9 p.m. tonight and serves its late night menu only. Music starts at 11 p.m. and continues until about 1:30 a.m. as last call ends. Oysters will also d.j. Friday from 11 p.m.-2 a.m. after RP opens at 5 p.m. for regular business. For more information or updates, keep an eye on RP’s Facebook page or call (434) 846-2877. This afternoon’s Thanksgiving gluttony may go down a bit easier after a morning run at Lynchburg’s annual Turkey Trot 5k. Anyone who didn’t plan ahead can get up early and register for the festive jaunt by 8 a.m., just about the time the race starts. People often dress in theme or costume, some sticking to today’s pilgrim and turkey attire while others skip ahead to Christmas. The race begins and ends at the Langhorne Rd. side of E.C. Glass High School (2111 Memorial Ave.). Registration is $35 for adults and $20 for children ages 12 and under. For a map of the course as well as parking information and more, click here. There may or may not be a rumble on the promenade, but there will certainly be one at Kegney Brothers (1118 Main St.) tonight as Jenny and the B-Side Rockers take to the Tiles for three hours. The Rockers are Lynchburg’s go-to for popping dance-swing-blues-country tunes, and their extended-set, or “Rockabilly Rumble,” will include original music as well as a mix of popular classics with which your hips and feet are well acquainted. The show is from 10 p.m.-1 a.m. For more information, click here or call (434) 616-6691. While the focus for Black Friday is usually on the chain stores who price down electronics and other expensive items encouraging consumers to line up and dash madly as doors burst open, there’s another way. Check out Speakertree (901 Jefferson St.) for the Black Friday edition of Record Store Day, which started in 2008 to celebrate and promote independently owned music shops and the culture they facilitate. Speakertree seems to be stocking up for the holidays by adding at least 1,500 new and used albums, Speakertree expects to have some special vinyl that day, but can’t give specifics because of Record Store Day rules, according to the Speakertree Facebook page.. The event is from 8 a.m. to 7 p.m. For more information, click here or call (919) 830-0988. Trey Songz comes to Lynchburg tonight in support of his most recent release, Tremaine The Album, branded with the R&B singer’s given name. Trey Songz, who graced the top 40 on Billboard as main artist or collaborator on nine songs between 2005 and 2015, released his most recent album in March. 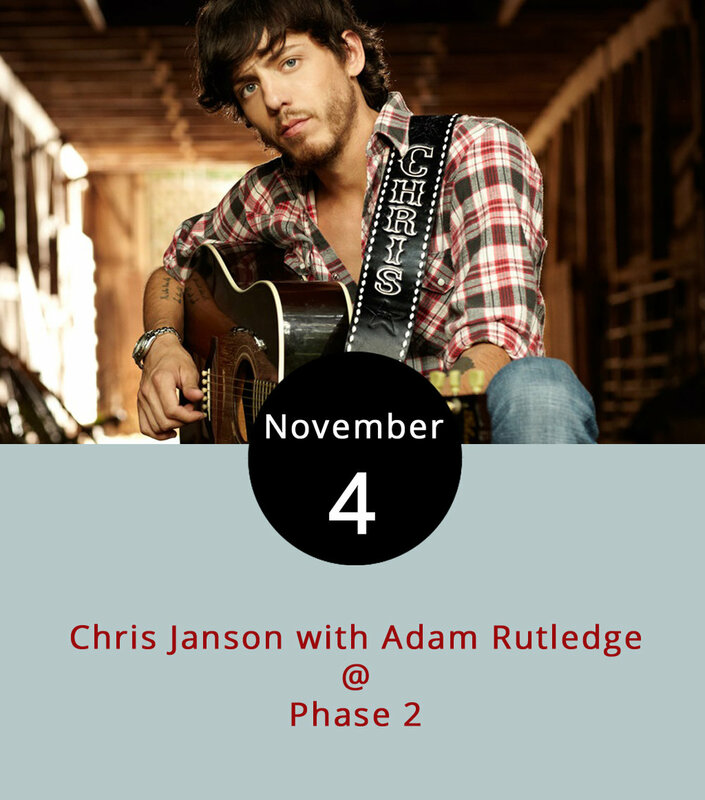 He’ll perform tonight at Phase 2 (4009 Murray Pl.) at a two d.j- show that serves as his official birthday party as he turns 33 a few days later. Doors open at 10 p.m. and the show ends at 2 a.m. General admission tickets are $50 and can be purchased here. For more information, click here or call (434) 846-3206. As the Christmas season begins in earnest, we at LynchburgDoes want to remind our readers that Lynchburg Does shopping, a fact the Hill City will highlight today on Small Business Saturday. Small Business Saturday is a day to remember that when we spend money where we live, it feeds the local economy and come back to us one way or another. A perfect example of that mentality: The Conscious Mercantile (1924 Main St.), Live Trendy or Die (1101 Church St.) and Windblown Apothecary (1103 Church St.) are donating 10 percent of all sales today to Miriam’s House, a Lynchburg-area nonprofit that provides transitional services to homeless women, according to the event Facebook page. For a list of participating organizations and their specials, offers or events, which includes a shortbread ornament class for $5 at Mrs. Joy’s Absolutely Fabulous Treats, click here. Dancing can be an exceptionally efficient way to keep warm in the winter, and funk is an easy genre to groove to. Tonight’s Tony Camm & The Funk All Stars performance at The Stoney Badger Tavern (3009 Old Forest Rd.) can not only help deflect the winter blues that may be kicking in but it might help you work off some of your Thanksgiving feast. The Lynchburg-based band has about 10 members and plays funk hits from likes of George Clinton and the Parliament Funkadelic, Earth, Wind and Fire and many others. The show is from about 9 p.m.-1 a.m. For more information, click here or call (434) 384-3004. Although Brightwell’s Mill (684 Brightwell’s Mill Rd., Madison Heights) is still undergoing renovations, they’ve got it up and running enough to have an open house/fundraiser today. From 1-4 p.m. today, the mill will be decorated for Christmas at an event featuring a certain jolly old guy who goes by the name Santa. They’ll have Brunswick stew and mill merchandise for sale, including calendars, T-shirts and ornaments as well as live music by Clearwater Branch. Tours will also be offered. The plan is to restore the mill to its orginal early 1800s condition, enabling it to serve as a historical resource and educational tool. Money raised today will go toward those efforts. For more information, click here or call (434) 610-6135. 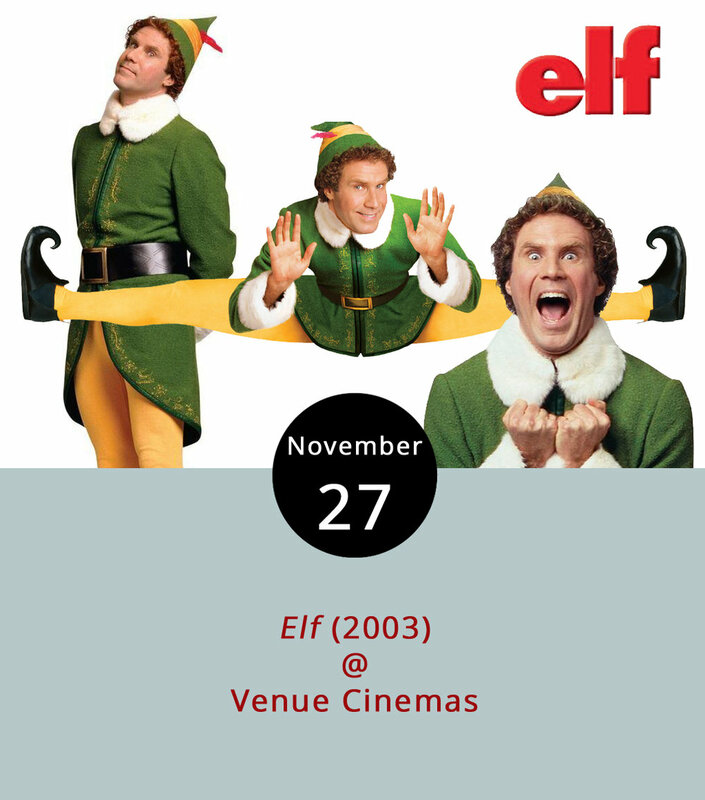 It’s hard to believe it’s been 14 years since Will Ferrell donned yellow tights and a snug green jacket to perform what has become an iconic role as Buddy the Elf. The film, playing at Venue Cinemas (901 Lakeside Dr.) from Nov. 24-30, instantly installed itself in the holiday canon, making it a fitting opener for the Venue Christmas Classics season continuing through the end of the year. In Elf (2003), directed by Jon Favreau, Papa Elf (Bob Newhart) must tell Buddy he’s not just adopted but, even worse, he’s a human. Although Buddy learns his biological father (James Caan) is on the naughty list, he treks south to New York City to meet him, hoping to melt his father’s icy heart. 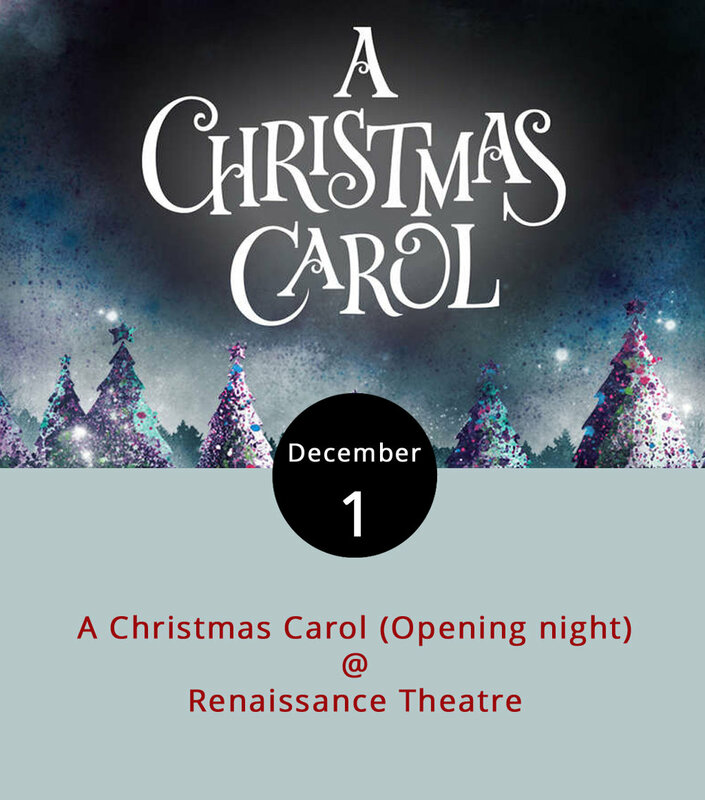 Showtimes are 12:00, 2:20, 4:40, 7:10 and 9:30 p.m. For more information, including the entire Venue Christmas Classics lineup, click here or call (434) 845-2398. If there’s a vaccination for Black Friday ruthlessness, we think Giving Tuesday may be it. The Thanksgiving-week holiday started years ago with a single nonprofit but has become an international movement dedicated to raising money for local nonprofit organizations that work daily for the public good. The Lynchburg-area has a plethora of organizations that give people a hand up or the resources to heal, such as Miriam’s House, The Lighthouse Community Center and Roads to Recovery. We at LynchburgDoes would have a much harder job and a much lamer social life without the nonprofits who play such huge roles in building Lynchburg’s arts community: Riverviews Artspace and Academy Center for the Arts. The official Giving Tuesday page has a listof participating organizations in the area, but we’re sure if you check with any nonprofit, they’ll be happy to take a donation. This week’s pint night collection features a couple of winter libations concocted and named for cold weather. 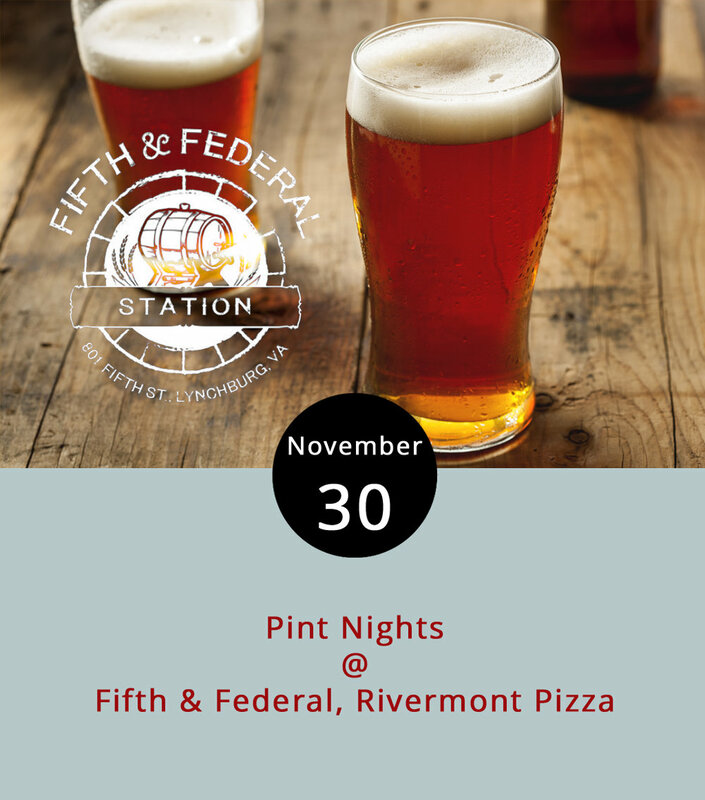 At Fifth & Federal Station (801 5th St.) from 8-11 p.m., they’ll feature Baltimore’s Heavy Seas Beer, including the limited release Winter Storm, a 7.5% abv imperial extra special bitter. Fifth & Federal will also have their weekly open mic going on at the same time. For more information, including the full tap takeover list, click here or call (434) 386-8113. Rivermont Pizza (2496 Rivermont Ave.) will host a release party for Bold Rock Cidery’s Orchard Frost, a daring name considering what a late frost can do to a budding fruit crop. 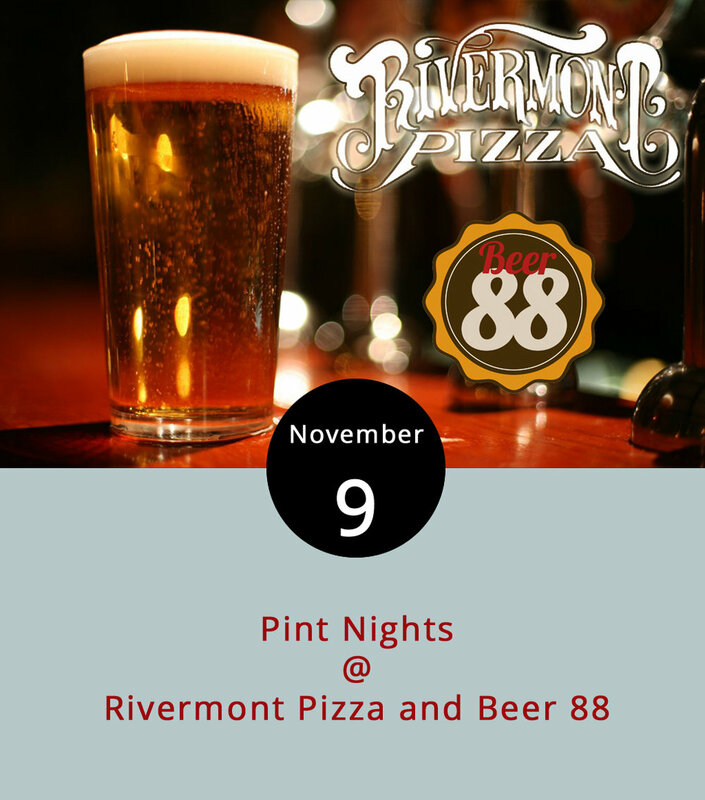 RP’s pint nights go from about 6 p.m.-1:30 a.m. For more information, call RP at (434) 846-2877. Although the various meanings of Christmas can be left up to interpretation and debate, giving, sacrifice and love are constant themes in holiday stories whether exhibited through written word, TV special, feature film or live performance. This weekend at the Academy Center for the Arts (519 Commerce St.), those themes are on display in the musical adaptation of the classic short story “The Gifts of the Magi,” first published in a New York newspaper in 1905 by O. Henry. In Henry’s story, a struggling young New York City couple wants to buy each other Christmas presents but can’t afford gifts they feel would adequately express their love. We won’t give away the ending but there are definitely some surprises. Showtimes are tonight through Saturday at 7 p.m. and 2 p.m. on Sunday. Tickets are $12 to $17. For more information, click here or call 434-846-8499. Although not performing with the rap group Three 6 Mafia, Memphis rapper and producer Juicy J is still going with the recently released “Flood Watch” featuring Offset this year and is performing tonight at Phase 2 (4009 Murray Pl.). He’s performed on seven hits in Billboard’s top 25, generally as a collaborator with acts including Wiz Khalifa, Lil Wayne and Trey Songz, the latter of which came to Phase 2 last weekend. Also featured tonight is special guest Lil James of The Money Team. Doors open at 9 p.m. and the show is 18 and over. Tickets range from $40-$70. For more information and updates, click here or call (434) 846-3206. The story starts with one dead-doornail-honest truth: Marley was dead. Scrooge knew it, too. But that’s where Charles Dickens’ holiday masterpiece “A Christmas Carol” gets a little fuzzy, so it’s fitting that the ghost story has been told and retold in myriad formats. Come see faces you may recognize as Renaissance Theatre (1022 Commerce St.) takes a go at the classic over the next few weeks. And witness one of the most miraculous character transitions in fictional history when the grouchy Ebenezer Scrooge finds the Christmas spirit after viewing his gloomy past, greedy present and dismal future at the whim of three ghosts. Showtimes this weekend are tonight and Saturday 8 p.m. The run will continue with performances Dec. 8, 9, 14, 15 and 16 at 8 p.m. as well as a 3 p.m. matinee on Dec. 10. Tickets are $15-$18 and can be purchased here. For more information, click here or call (434) 845-4427. Christmas means so many things to so many people, a fact made clear by the breadth of holiday songs that float through crisp winter air. 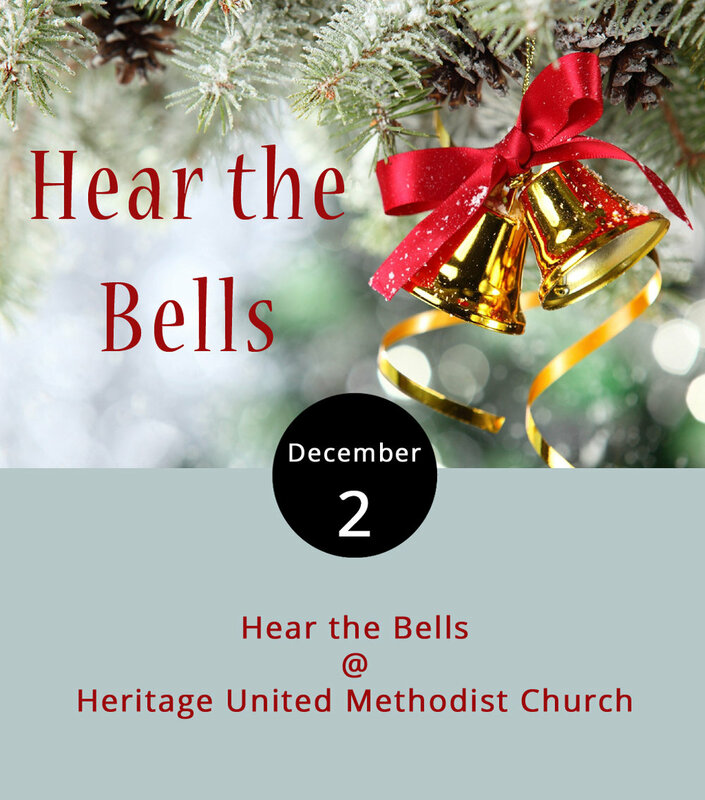 The Jefferson Choral Society will hit notes all along that spectrum today at their annual Hear the Bells holiday concert at Heritage United Methodist Church (583 Leesville Rd.). While excerpts from George Frideric Handel’s “Messiah” are the show’s centerpiece, listen for secular holiday classics, such as “I’ll Be Home for Christmas” and “You’re a Mean One, Mr. Grinch,” as well. Even if you don’t know “Messiah” by name, you’ll likely recognize at least part of the lengthy oratorio in which performers sing “Hallelujah” (performed here by the Mormon Tabernacle Choir). Performances are 7:30 p.m. tonight and 4 p.m. Sunday. Tickets are $20 for adults and $10 for students age 12 and over. Children under 12 are free. For more information, click here or call (434) 528-5700. It’s been decades since country singer Tracy Lawrence’s first hit, but less than a month since his most recent album dropped. Lawrence seems to be in a nostalgic mode in his latest album “Good Ole Days,” so that’s the mood the Phase 2 (4009 Murray Pl.) crowd can expect tonight. 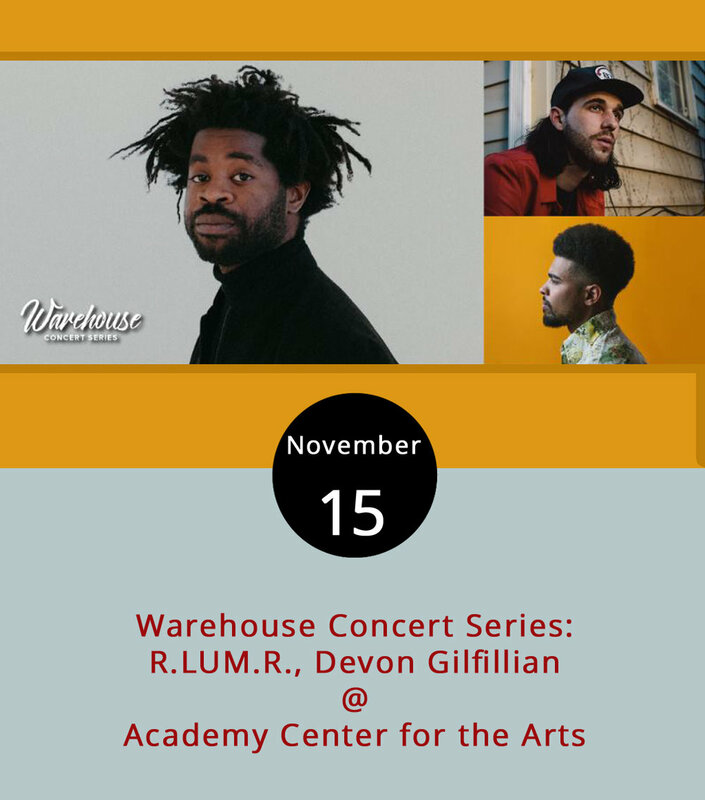 Lawrence, known for hits “Find Out Who Your Friends Are” (2007) and “Paint Me a Birmingham” (2004), will perform along with special guest Will Jones, a West Virginia native. Doors open at 7 p.m. for the 8 p.m. show, which is 18 and over. Tickets are $24.99 in advance. For more information, click here or call (434) 846-3206. 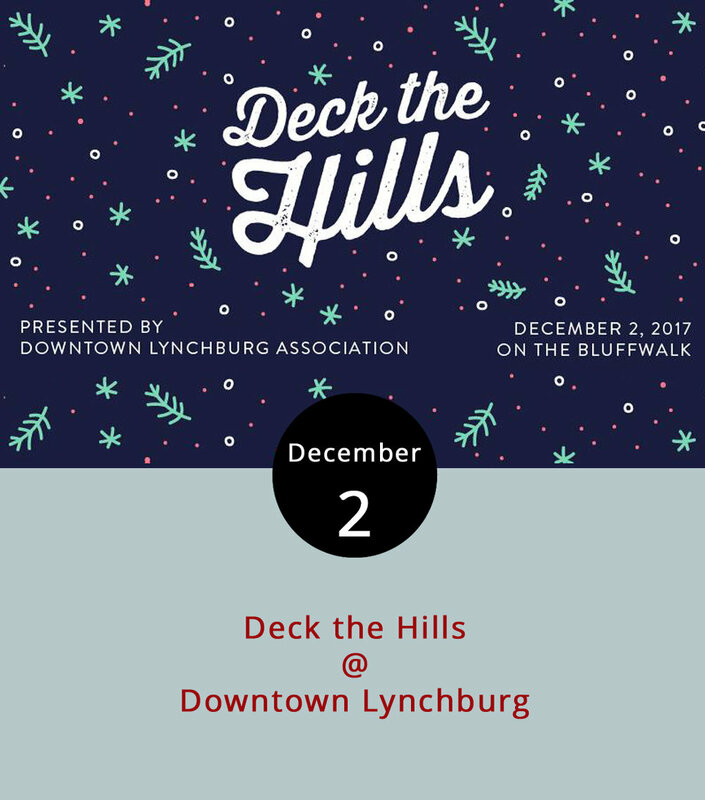 Traditions have to start somewhere, and tonight on the Bluffwalk, Lynchburg hopes to start a new one: Deck the Hills. From 4-8 p.m., try out the festive food or do a little holiday shopping from craft vendors, including Altus Chocolates and Lane Paper Works, which sells specialized holiday cards. The Spectrum Arts Society will set the seasonal atmosphere with carols and holiday songs while visitors peruse the Christmas trees decorated by downtown businesses and vote for their favorite. At 7 p.m., they’ll light up the Craddock Terry Hotel Christmas tree, which stands at the Bluffwalk’s far end. For more information and updates, click here or call the Downtown Lynchburg Association at (434) 485-7250. We’re not sure what celebrating Christmas in 1815-style means. 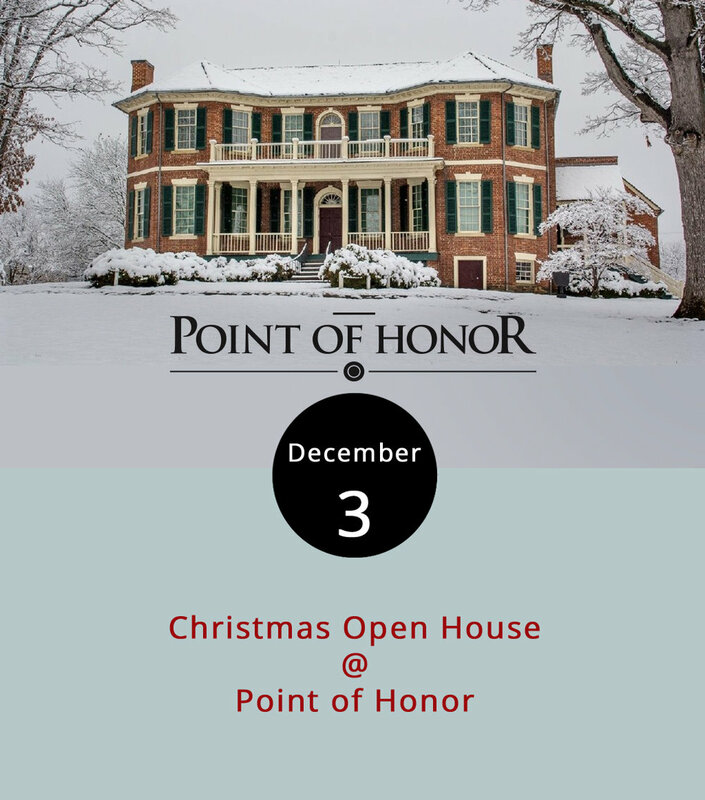 But if you’re curious, check out Point of Honor (112 Cabell St.) today for their Christmas Open House. Tour the historical home, also called Dr. George Cabell’s Mansion on the James, for free today. The mansion, home to Cabell, a physician to revolutionary Patrick Henry and correspondent to third president Thomas Jefferson, will be decked in period costume and with “live greens,” according to the event’s Facebook page. Visitors can learn history going back to the days before the mansion’s construction when Monacan natives camped near the James in that spot. For more info about its history, click here. For more information about the event, click here or call (434) 455-6226. Sometimes the halls deck back. At least that’s the experience for the entire Griswold clan and their neighbors. Everything that can go wrong does as Clark Griswold (Chevy Chase) and his wife Ellen (Beverly D’Angelo) host both sides of their family, as well as an uninvited wing led by delightfully un-self-aware Cousin Eddie (Randy Quaid), for a “good old fashioned family Christmas” in National Lampoon’s Christmas Vacation (1989). The film is part of a holiday tribute series hosted by Venue Cinemas (901 Lakeside Dr.) who are committed to presenting the Christmas standards the way few of us are used to seeing them:, on the big screen instead of in front of our own fireplaces. Showtimes are 12:00, 2:15, 4:30, 7:00 and 9:15 p.m. Dec. 1-Dec. 7. For more information, click here or call (434) 845-2398. There’s really only one time of year where gingerbread takes any sort of spotlight, and we’re in it. Get the most out of the seasonal cookie today as 5th St. Grind (710 5th St.) hosts a gingerbread house building competition. For a $10 entry, a group or individual gets an all-inclusive kit to construct a gingerbread house in the cafe. The winner gets a V60 pourover kit. Come in any time today from 6 a.m. to 9 p.m. to participate, although you have to leave your sweet creation behind for the competition, which will be judged by popular vote. Voting takes place two ways: electronically via Facebook and the old-fashioned way, by coming into the shop. Note: this means you can get two votes. Vote early and often, as they used to say, and eat some gingerbread, which is what we say. The winner will be announced Dec. 11 after which participants can retrieve their masterpieces. For more information, click here or call (434) 386-8952. Near the Blackwater Creek Trail’s Langhorne Rd. entrance lies a quaint-but-cared-for garden perfect for reflection, remembrance and hope. The Awareness Garden (1700 Old Langhorne Rd. ), dedicated in memoriam and for cancer prevention, will mark the holiday season with its annual lighting ceremony tonight, memorializing the site for those lost to the illness, giving thanks for survivors and shining hope for those in fights for their lives. The event will feature E.C. Glass’s A’Cappella groups singing holiday songs as well as hot chocolate and treats from 5-6 p.m. For more information about the event, click here or here to learn about the Awareness Garden Foundation.